I just saw this today and laughed out loud! 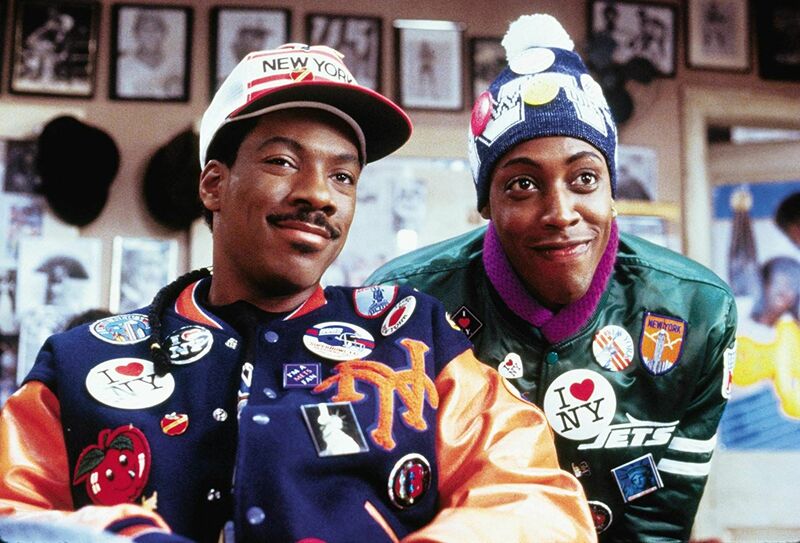 Paramount Pictures' 'Coming to America' sequel, starring Eddie Murphy, written by Kenya Barris, and directed by Craig Brewer, for a Summer 2020 release date. Anyone remember the original? I absolutely loved that moving growing up. My best friend and I watched it so many times in high school that I think we honestly had the entire dialogue memorized. What a hilarious, classic movie! Sequels are rarely ever as good as the original, but I'll still be interested to see where they go with it, as I'm a big fan of the original. Nope. Been tooooo long, original is too funny. I loved the original and the cameo appearance of Mortimer and Randolph from Trading Places (another great Eddie murphy movie). They usually butcher sequels. Its been years since I saw the original. May need to rewatch it! I loved the original, but I just don't see any sort of remake ever working. As it is, I'm a bit tired of the remake trend that Hollywood has been riding for so long. Then again, this came from yesterday's trailer, so I am particular bitter to remakes at the moment. Yea,,,I remember the original,,,saw it in the theater. Loved it. Some of Eddie’s best work!